This is going to be boring for regular readers of this blog. But if I post it often enough maybe someone will be able to share it with someone that can make a difference. via 135 – The 30yr US Treasury Bond valued in terms of gold bullion. The Long Bond is what most pension and insurance funds, not to mention sovereign wealth funds and sovereign foreign reserves, are stuffed with. As a corollary, I am not convinced Japan can sell their holdings of US paper in order to raise funds for reconstruction. If they did, they would likely further worsen the value of the ocean of US paper held globally. In my opinion, Japan can only float even more sovereign debt…. thus going into head-to-head competition with all other Sovereigns requiring financing… $10Trillion may be a conservative estimate for Western funding needs this year. For those of you that keep asking, I write this blog primarily because I love the “I told you so” moment. But just as satisfying is to point out the unwitting hypocrisy in people’s lives. I say unwitting because most people are just too busy in their daily routines to be able to zoom out of their lives to notice how everything is interconnected and how people’s choices very often are not free but are in fact directed and how when these choices are made the ramifications extend to aspects of life that are otherwise apparently unrelated. Here is a system that pretty much sits behind every single aspect of human development and that is THE ultimate enabler of all human action and yet even amongst the few that may know what a monetary system is, even fewer know what the ramifications of the choice of a system over another may be. Barter is a form of monetary system. Barter has been used throughout the ages and, though not an officially recognized system of exchange, it is still in use today. Everyone resorts to barter at some point in their lives. The interesting thing about barter is that since it relies on an agreement between two parties, the exchange is not subject to taxation by the government (unless the items being exchanged are somehow registered with the government like a car or a house). But just because barter requires an agreement between two parties AND because most barter would escape government taxation, organized societies cannot and will not adopt it as a viable system of exchange. It is just too cumbersome to allow the development of society at a viable rate. If society is to organize and develop, exchange we must, so that a form of monetary system is inevitable and necessary. Nay, it is vital. Other than barter, the choices of monetary system are spectacularly limited. So limited in fact that it boils down to two systems. One system will be based on some sort of intrinsic value. Throughout the ages, salt, stones and shells have been used as basis of exchange thus the monetary system derived its strength from the desirability and/or scarcity of the medium of exchange. One system will be based on political fiduciary duty. Call it honesty, rectitude or plain old decency. But that’s all that props up this system and nothing else. The former system is a “value based” monetary system whilst the latter is a “fiat” monetary system. Let me hasten to say here that fiduciary duty is an integral part of a value based monetary system too. But at least in a value based monetary system there is an objective measure of value against which aberrant policies or corruption can be flagged beyond all reasonable doubt. As an example of deteriorating fiduciary duty perpetrated behind the screen of the soundness of a value based monetary system take the USA from 1931 to 1971. During this period of time, the US government claimed to operate the monetary system within the confines of the value of its gold reserves (the US gov had confiscated all gold instruments by 1931). In other words, the US government claimed that it was not engaging in inflationary policies. At this time, the USA was already the de facto world industrial powerhouse and on its way to become the de facto global military hegemon so that they had already attracted significant gold deposits from numerous sovereigns. As we all know today, in 1971 the charade came to an end when France attempted to exchange their US Dollar reserves for the gold they thought they were entitled to but, of course, the gold wasn’t there. All that to say that a value based monetary system by itself is no guarantee of fiduciary duty on the part of government. What does however guarantee a higher degree of fiduciary duty, is transparency. There is no substitute for transparency. So that a government, any government, cannot be expected to provide fiduciary duty unless transparency is ensured first. So, a monetary system is vital to human development. But why does it matter whether we choose one system over another and, most importantly, why is inflation a problem? After all, there are scores of Noble laureate economists that claim that inflation is not only a desirable dynamic but it is necessary in order to develop society. If you are a regular of this blog, you will know that inflation is a monetary dynamic that devalues the purchasing power of the currency thus causing a nominal rise in the trading value of goods and services thus causing a rise in the nominal value of GDP. The devaluation of the currency is also purported to have another beneficial effect in that economic actors always need more money in order to secure the same quantity and quality of goods and services so that inflation is perceived to cause a rise in employment (whereas in low inflationary environments one family can live on one salary, as inflation progresses, more salaries are required in order to maintain a constant level of quality of life if not increasing it). A rise in employment, it is thought, will occasion a rise in demand thus fostering industrial expansion, thus fostering a rise in employement… rinse, repeat… thus inflation is desirable. But of course, from the arithmetical point of view, inflation is not and cannot be infinite. If that were not the case, Bretton Woods would never have been abrogated in 1971 when France asked for its gold back. If printing money was a viable solution, then in 1971 the USA could have just printed a bunch of dollars and gone out to buy some gold to give back to France. But they didn’t because they couldn’t. And the couldn’t because the purchasing power of the US$ had been depleted. They couldn’t because they had reached the limit of the presumed beneficial effects of inflation. It is an arithmetical truth that inflation is limited mathematically. But can inflation be evil? If you listen to the Noble laureates making their case, inflation is a necessary dynamic but it most certainly is not evil. Bear with me a while longer. As outlined above, inflation is a dynamic that conforms to the law of diminishing marginal utility because as it erodes the purchasing power of the currency, it is a self reinforcing dynamic. As Argentina found out in 1997 and the USA found out in 1971 and in 1929 and as John Law found out in XVII century France and as the Romans found out when the gold content of their currency was being scraped off and as the Chinese found out even before the Romans, devaluation will eventually bring about the demise of empires. Not only that but on the way to demise, collateral devastation lays waste to countries and people well outside the borders of the stumbling hegemon. That has always been so and there is no reason on God’s green earth why it should be different this time. The arithmetic behind the dynamic is a universal truth. That being the case, how can inflation be evil? This answer touches on different aspects of society and life in general. Like all dynamics, inflation goes through several stages. Each stage requires a set of government policies aimed at extending the effects of inflation on the economy. Take social security. Social security has been hailed as one of the greatest social achievements ever. But in fact, SS is nothing but a tool of state to extend the effects of inflation. SS requires payments into a fund. This does two things for the monetary authorities. First, regular rounds of payments help maintain positive the velocity of the currency. But, more interestingly, for as long as more people pay into the fund than people take out, government can make use of the excess funds free of charge thus lowering its need to issue sovereign bonds. Ergo, the government can spend money without paying interest and increasing the velocity of the currency. But the real beauty of SS is that it make the citizen dependent on the state. Other than eroding the purchasing power of the currency thus discouraging savings, the fact that citizens think they can rely on the state for retirement induces them to save even less thus spend more. Initially I just quoted an excerpt that I thought would give the jist of the entire article. But as I read through the piece by I realized it is stuffed full of half truths and false remorse. I am now posting the entire article and interspersing my comments throughout. “In some of his strongest language yet, Mervyn King today claimed the fall in households’ living standards was the fault of the financial services sector and he expressed sympathy that innocent families paying the price. “The people whose jobs were destroyed were in no way responsible for the excesses of the financial sector and the crisis that followed,” he told MPs on the Treasury Select Committee. GUIDO COMMENT: So, what’s going on here. Genuine heartfelt remorse? A moment of candor? GUIDO COMMENT: And there you go. It didn’t take long for Mr. King to come clean. His is not remorse nor is it candor. What Mr. King is doing is staging contrition. But it is not genuine. It is meant to placate the masses. By any measure anyone measuring the health of the economy prior to the crisis, would have found little to nothing healthy about it. What there was, was the ability of the banks to expand credit markets. If that’s Mr. King’s only measure to gauge the health of an economy then, yes, the economy would have been healthy at that point. But as anyone that has ever managed a budget can tell you, if your debts are increasing at a faster rate than your revenue and your intrinsic wealth you will soon be taken to jail. The people who are now suffering “did not get bonuses of the scale people in the financial sector got”. The financial crisis may have occurred two years ago but, as austerity measures kick in, “the cost is now being felt”, he said. GUIDO COMMENT: Crocodile tears folks. Mr. King is seeking forgiveness. The Governor also warned that living standards may be permanently lower than where they would have been under the economy’s trend growth rate before the crisis. “The evidence of the past is that the impact of a [financial] crisis like that persists for many years,” he said. GUIDO COMMENT: Funny how Mr. King is aware of the historical background of financial crisis but, like all central bankers and official economist world wide, was unable to see this one brewing. GUIDO COMMENT: He truly sounds sorry does he not? Let’s see what he proposes. GUIDO ROMERO: Number 1 rule of getting away with murder: show contrition, make puppy eyes and ask for forgiveness and then ask to stay in place to put things right. The Governor also expressed concern about the legislation being enacted to give regulators greater powers on bank supervision. He said the Bank would have preferred a new Act rather than amendments to the existing law, but that he was satisfied with the current plans. GUIDO COMMENT: Isn’t that precious. Mr. King is satisfied with current plans. Not one sentence ago, he pledged to stay on till he sorted this whole bloody mess out. But, you know, though he would have preferred a new act current plans are ok too… Which of course begs the question… why should he stay in place then if legislation being enacted is satisfactory? Andrew Tyrie, chairman of the TSC, suggested the current plans are a “pig’s ear of a legislative process”. The biggest change to banking supervision, Mr King said, would be to “move to a regime that does countenance failure but does not cause havoc with the financial system”. Regulators will pay closer attention to whether a bank can fail safely rather than continue with “excessively detailed scrutiny of the big banks”. GUIDO COMMENT: The price of eggs in china shoves numerous pallistairs under the legislation of corporate mandated social fung shui. That’s a long worringstall for research in the quantum strands rabble. Mr. King basically wants to stay on and change little or nothing. That’s the jist of his speech. No mention of the monetary system, no mention of fiat money, no mention of fractional reserve banking no mention of anything that in fact is a prime mover in our boom-bust economic cycle. Nothing. Just crocodile tears. Unless of course Mr. King is not aware of what debt based fiat money is and what are the laws that govern this type of monetary system. Though unlikely I suppose it is possible. Possible in the same manner that it is possible that the sun will not rise tomorrow. Let the banks fail. Withdraw all your funds from the major banks. Close all your lines of credit with the major banks. Make use of small community banks or just keep the cash in a safe at home. Buy one coin and one ingot of silver each. Just stash them away till this whole unGodly mess washes over. This is right up there with the strange goings on in Sweden. The single most popular internet search that leads to my blog is “most civilized country in the world”. This is due to a post I put online some two years ago chiding Sweden for betraying its status as most civilized country in the world when it decided to offer negative interest rates on saving accounts. For a country of till then high moral standing, that was a decision I found to be out of character. Sweden eventually went on to do other peculiar things as, indeed, did Denmark when it was implicated in a carbon trading credit scandal of rather large proportions and whose instigator eventually went on to become EU Climate Commissioner. Nice work if you can get it. One wonders what is happening with those beacons of morality and fairness that northern countries are usually known for. And so it is that today it is Holland’s turn to act out of character. To be sure, Holland has already been acting strange in the recent past as attested by the attempt by two politicians to pass legislation that would criminalize the expression of comments that are deemed to lead to withdrawal of funds from a bank (which is exactly what I am suggesting in order to get out of this crisis and bring about a modicum of democracy again). So now, for the most recent WTF moment, Holland is at it again as the Dutch central bank orders a tiny pension fund to sell its gold holdings. If you understand the implications of any of the above, you have to wonder what is going on with these countries that till recently were unmatched examples of tolerance, social justice, personal freedom and morality. More specifically, in a presumed open and capitalist economy, economic actors are ostensibly free to operate as they see fit provided they operate within the bounds of the law. Moreover, in a debt based fiat monetary system where the authorities are hell bent on conveying the idea that gold is a barbarous relic, buying, holding or selling gold is not an activity that should be subject to state approval and, certainly, is not an activity that represents a particular threat to anyone thus should not be subjected to legislation. If the central bank or the Rotterdam court feel that gold represents a particular investment risk I can only conclude that the head of the central bank and the judge of the court have taken a look at the performance of their own pension funds over the past ten years and threw an issy fit when they realized that this little pension fund did rather well for itself as compared to the average pension fund that has shunned gold. But, seriously, at a time when the performance of traditional investment vehicles that are stocks or bonds has been disastrous for the past ten years, why condemn a little fund that has done well by blazing a trail in alternative investments? Indeed, innovation is the essence of capitalism. So, what’s going on? Why beat-up a small pension fund? And why is all this happening in these economically marginal countries? And why now? And, anyway; this pension fund’s investment in the precious metal is equivalent to only 10% of total money under management so that even if the price of gold went to zero, the fund would still survive and eventual losses do not even approximate what the fund has lost in bonds and stocks since the year 2000. Here are some charts that tell the real story of what has happened to various investments during the past ten years. The only thing I can think of is that small economies are being used as test ground by the monetary authorities like the ECB and the Fed to see what would happen if they were to push such aberrant legislation on larger countries. These are likely tests for last ditch attempts to keep the current monetary system alive short of opting for the nuclear option of converting to a global currency. In line with the spirit of this blog and as I have done so far, I am inclined to act in a manner that is contrary to what the authorities suggest and dictate. Can you see the concentration of profits? 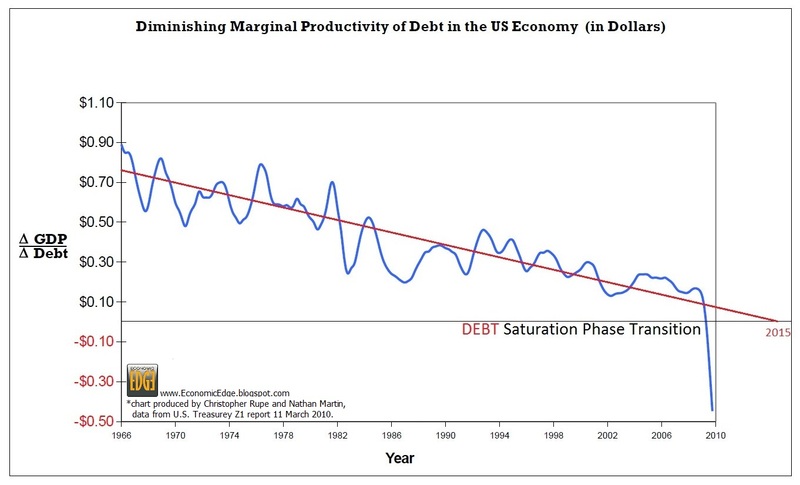 This is the direct and inevitable result of a debt based fiat monetary system. When the inflationary tide withdraws, profit concentrates in the financial industry till it concentrates in the entities one step removed from the creator of the currency (Goldman Sachs is also in the enviable position of being both: a member of the entity that creates the money as well as a Primary Dealer which is the entity one step removed from the creator of the currency). If you followed my “tic, toc…” posts, this press article is the first shot across the bow of state finances in the Western world. As I mentioned before on this blog and on comment pages of some news papers like The Telegraph, at this stage of the crisis, options are few and very well defined. Whatever we may do going forward, pension promises across the West cannot and will not be kept in their original form and, in some cases, will be terminated outright. Save the banks and let society alone shoulder the costs of this developing crisis that, incidentally, is about to get worse.